Can’t make it? Sign up to be a Virtual Walker at one of our events. We created Wendy Walk to try to save our mom’s life. The first time we heard the word “sarcoma” was when our mom, Wendy Landes, was diagnosed in 2008. We couldn’t wrap our heads around the fact that there were no viable treatment options or the severe lack of funding of sarcoma research. We lost our mom in March 2013, but not before she was able to participate in a new annual tradition, Wendy Walk. 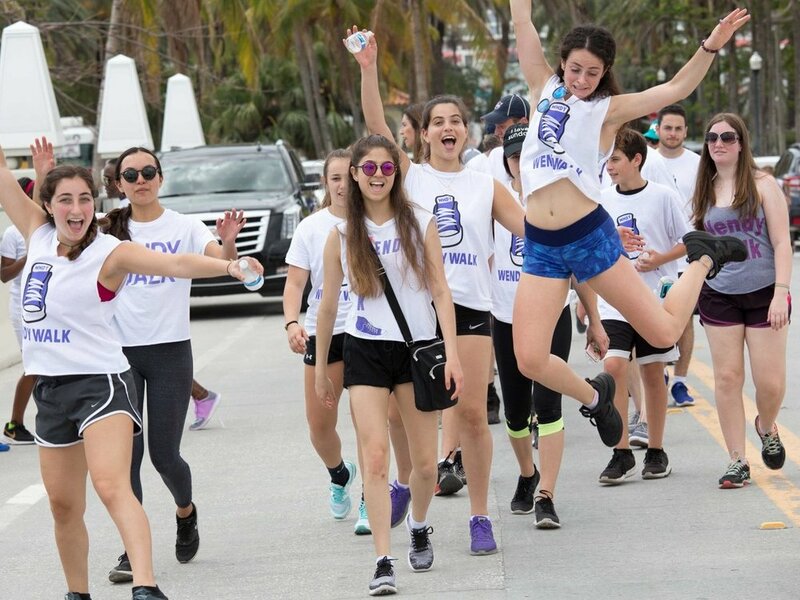 Each spring we walk in Miami, New York, and Los Angeles to raise funds for sarcoma research and awareness so no family has to endure this journey alone. We are in a race against time but, with your determination and support, we can find a cure for sarcoma. Learn about our mission, our methods, and the results of our near-decade of advocacy. We know first-hand how daunting a sarcoma diagnosis can be. We've created this community so you never have to feel alone. Check out media coverage and celebrity support of Wendy Walk. Ready to get involved? You can contribute, participate, or even become a partner.